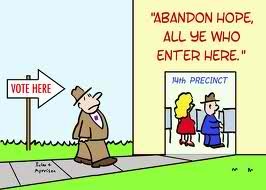 The forthcoming election indicates a series of response from the public—they who are wooed by people to choose whom they would vote to the coveted public office. While the re-electionists have the advantage of retaining power and influence up to the election day, those who are challenging have a field day exposing the errors and weakness of the previous administration to their advantage too. The people however would be the ones to determine who should be rewarded with their judgment. Politicians have to brace themselves from attacks, insults and criticisms. It is not actually a season for mudslinging but a period for exposition. If one enters the elective position, one must be prepared to be exposed. There is no replacement for a record of competence or expertise in a field. The electorate is charmed by accomplishments more than sing-and-dance retinues during the stage of campaign. The people may be entertained for a while when promises are made but eventually inside the voting booth, it is how they will be treated that counts most. To be entertained is never a factor during the crucial minute. According to a study, almost 80% of those running for public office are members of families who are already holding public elective positions. In other words, they constitute the members of the so called political dynasty. Even if the Constitution has a provision against political dynasty embossed in its spirit, it is still ignored. The politicians would persist and reason out that it is up to the people to select whom they want to lead them. That explains why in this country, everyone can just interpret the law the way it would please them. Some senatorial candidates are merely playing by the ignorance and gullibility of the people and would sound off as if they could just wave a magic wand and poverty and want will disappear. While it succeeded before when the people shifted their preference from technocrats to thespians, their blight condition remained the same and unaffected. It even worsened. While the poor before could not afford a decent meal, now the poor must have to skip it! Before, the rich on the other hand succeed in a legal way; now, one must have to deal with numerous procedures and employ tricks to overcome challenges to prosper in a criminal way! Some senatorial candidates are already feeling the brunt of censure like the one made against Nancy Binay, an UNA contender and is believed to be within the magic circle because she happens to be the daughter of the vice president; never mind her qualifications. The same virulent attacks were made against those similarly situated—PNoy, who was elected because of her mother, former President Cory. We also have the Cayetanos, the Enriles, the Ejercitos/Estradas, the Marcoses, the Arroyos, the Revillas, there is nothing new actually. Even those appointed in sensitive political positions are not experts. They are scions of prominent politicians; and some were party mates who never made it in the election. In other words, our government is not what we wished it should be—a guiding organization composed of experts and professionals protective of rights and fountainhead of welfare. It is unfortunately a sanctuary of those who seek prosperity and affluence through taxes derived from the blood and sweat of their working constituency. We are still a far cry from the progress that has been eluding our shores for decades. But there is one saving grace if at all those elected would finally make some sacrifices to fulfill the virtue of HONESTY. It is the honesty of the national leadership that makes a dent on the restoration of trust by investors and the business community—the vertebrae of economic development. Political dynasty or not, incompetence and even inexperience by those elected would still be an advantage as long as they would fulfill their role as honest public servants. We are not that hopeless anyway. There is still chance to attain what we wished for. Posted on April 7, 2013, in Uncategorized and tagged election, good governance, political dynastic, polticians. Bookmark the permalink. Leave a comment.